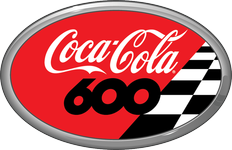 Charlotte Motor Speedway welcomes the biggest Memorial Day weekend party in the country with the Coca-Cola 600. The stars of the NASCAR Sprint Cup Series do battle in stock car racing’s true endurance test. Don’t miss the patriotic pre-race salute to the U.S. armed forces.